Quotes: Nothing jumped out at me, but Christians really like the verses about being saved even without earning it (v 7-8), and the one about Jesus dying for them so that their sins would be forgiven (v 25) . The Ugly: What I get out of v 1-2 – We are saved and forgiven because we have faith, and therefore it doesn’t matter what we do or whether we deserve it, we have a passport to heaven that cannot be revoked. Behavior doesn’t matter. What v 6-21 mean to me – we are all miserable sinners who need someone else to take the fall for our misdeeds. What a horrible way to think! 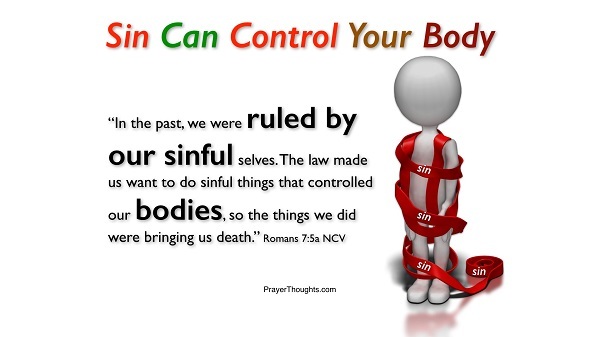 First, sin is a religious concept; it doesn’t mean wrongdoing, but rather violation of religious law. But even if only actions that actually cause harm are considered, they’re only bad if the harm was intended; an honest mistake doesn’t make someone bad. So most of us are not bad people, and a belief system that tells people that they are bad is psychological abuse. (And even people who do bad things aren’t bad themselves; their behavior is, but that’s another topic.) The point is that the bible doesn’t allow for circumstance or nuance – not surprising for a book written by Bronze Age peasants. Quotes: V 1-5 and 8 seem the most popular. The Good: sorry, but I’m coming up empty on this one again. The Bad: V 9 – I once sang an anthem with these words. Listen to how inane and repetitive the lyrics are. Typical traditional church choir anthem. Hurk! The Ugly: V 12-13 can be construed to mean all sorts of things, and are often used to enforce ‘morality’, especially in regard to sexuality. This whole chapter seems designed to provoke shame and guilt – first tell people they are all sinners; then assure them that once they are saved in Christ they are free of sin; follow that up by telling them that they must now lead holy lives and leave sin behind by following a strict code of behavior; then when they make mistakes you can tell them that they have sinned – and then the cycle repeats. It’s sick. Quotes: Almost every verse is quoted by believers, but 23 is hands-down the most famous. The Ugly: Let’s just skip the good and the bad, OK? It’s all Ugly. Synopsis: I am a miserable sinner, I would be nothing if I didn’t have Christ. 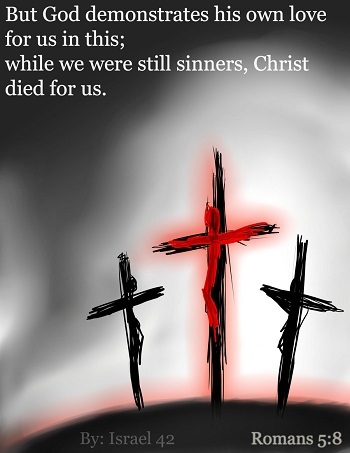 Before I found Christ, I didn’t even know I was a sinner! But the problem is not with the law; it’s with me. If it weren’t for the law, I wouldn’t know right from wrong! And I’m not responsible for my own actions. – WTF? Paul is using Jesus to fix a problem that didn’t even exist until he found Jesus! And it’s kind of scary to think that people can’t take responsibility for their own behavior, or tell the difference between right and wrong without a supernatural father-figure to set rules. Reading this chapter made my head hurt. Quotes: nothing in particular. But believers view this whole chapter as a discussion about the ‘War Against Sin’. 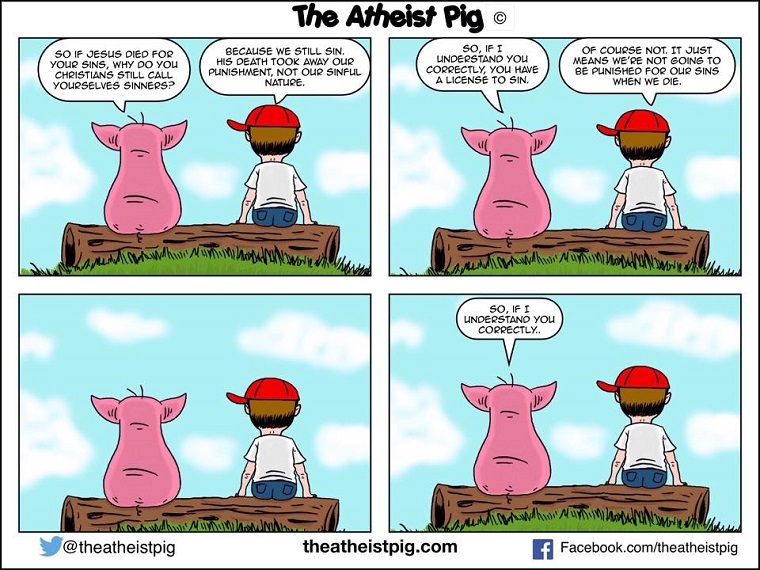 Such a great cartoon illustrating this chapter perfectly by the Atheist Pig. Check it out online!